Something strange happens with the model when importing in SE, I think it needs to be adjusted in an editor. Will have to do that at a later time. I'd love to see a camera mode. With effects. Or exporting skybox images with different types of lenses. I would like to see a Tyche mod. I made a Tyche mod a while ago. I forgot I even created it since it was a really boring mod to be honest. Jackdole made an outstanding version of it. I would like to see a mod where every Dwarf planet and Ice world that is orbiting the Sun is a planet. I tried to do it but it's very tedious. Is there any mod around here that could allow me to limit acceleration of my spaceship? I know that some ships have 'aerodynamic' option in their .sss file that allows to limit their speed depending on planet's atmosphere density but I would also like an option just to not allow engines to go over, for example, 1km/s so I could fly ships more easily on the surface of the planet, even if it has no atmosphere at all. I've been searching this forum for some time but unfortunatelly I couldn't find information I need. Is it even possible to mod-in option like that? Maximum acceleration (in m/s2) by the engines: the main, braking, takeoff, and corrective. If the value is zero, it means that ship has no corresponding engines (for example, the shuttle has no braking engines, while the starship has no takeoff engines). 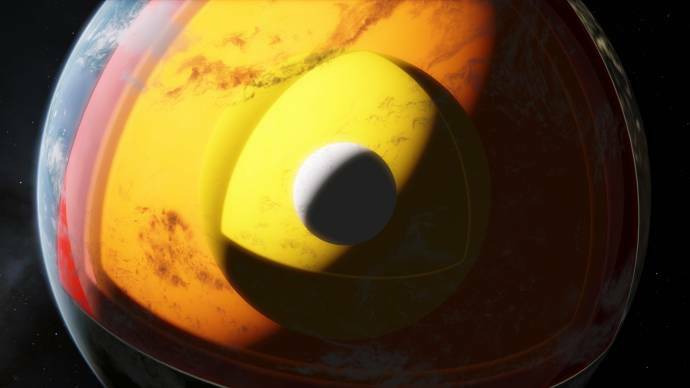 s anyone ever thought (or it might exist already) to make a mod which can display the rock composition of a planet, the tectonical plates, make a half cut of the planet so we can see all underground composition of it ? Can I request a feature or mod to draw a line from a planet/star/galaxy etc to another similar object ? Straight or curved via other objects ? Something like procedural city lights would be awesome especially if used conservatively. However, SpaceEngineer killed it with an update to the volcano code, so we can't do it anymore in the current version. The last version that this "cheat" works on is 0.974 RC 1 or RC 2. Is there a way to add an extra layer of randomness in GLSL? For instance, can I have some mountain ranges on a planet use the default mountain shader, and others use Rodrigo's shader? Or can some entire planets use default mountains, and other planets use Rodrigo mountains?